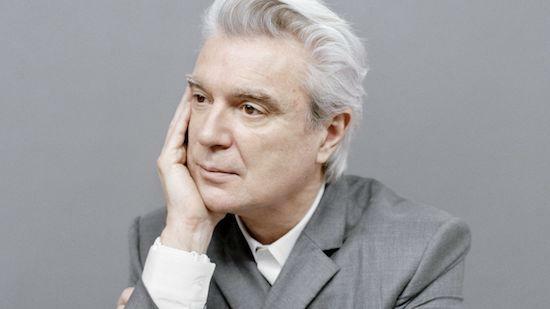 David Byrne has announced a short series of free entry lectures on "encouraging things that are happening in the world" taking place across Europe this month starting later today in Copenhagen - and you can go and watch him if you want. This is ahead of the world tour in support of his first album in 14 years American Utopia out on March 9 via Todomondo/Nonesuch which starts in America in March and ends up back in the US in August. For full list of dates click here. In addition the former Talking Heads frontman will present Reasons To Be Cheerful – a series of lectures on "hopeful writings, photos, music" – in several European cities in January, including Copenhagen’s Main Library (Jan 22) , Berlin’s The Venue (Jan 24) on, Milan’s Fondazione Prada (Jan 26), Amsterdam’s De Balie (Jan 28), and London’s Roundhouse Sackler Space (Jan 30). You can read more here. The exact details of how to get tickets are yet to be announced but watch the websites of the individual venues. The enigmatic musician released a statement via his site early this morning: "Briefly, here’s what this project is—I began to look for encouraging things that are happening anywhere in the world, and if they have been tested, if they have been proven to work, if they can be transferred and adopted in other places, if they can scale up—then, I thought to myself, why not hold them up for consideration, and also invite others to add to this project. There are actually a LOT of encouraging things going on around the world—they’ve given me hope, they’re a kind of therapy, given what’s happening in the world, and I’d like to share them. "Some of them are naturally about music and performance, but many are about innovations in energy, transportation, education, health... and a lot more. "It will be an ongoing online project that is an continuation and extension of some writing and talks I’ve done recently. The project will be cross-platform—some elements may appear on social media, some on a website and some might manifest as a recording or performance. I’ve done these talks at BRIC Arts Center in Fort Greene in April, at IdeasCity in connection with the New Museum and most recently at The New School on 12th St. Now I’m hoping to bring the idea to a wider audience."